Pollution is defined as the ‘introduction of contaminants into the natural environment, causing adverse change.’ Pollutants can be of natural causes, such as volcano ash, or manmade, such as smoke, or plastic pollution. Waste management and pollution control in Galapagos is an issue growing in importance. The increase of visitors to the Islands in recent years, as well as the increase in the permanent residents, means that the amount of waste created is growing. Waste and pollution must be minimised as much as possible in order to preserve the unique habitats of not only Galapagos but the world as a whole. The reduction of land and marine pollution in Galapagos is of paramount importance. The Galapagos National Park is well maintained and protected by Park rangers and volunteers, and coastal clean ups are held regularly. The Galapagos Marine Reserve is also highly protected and frequently patrolled. The ocean, however, is filled with buoyant plastic waste which is a constant threat to every coast, no matter how many patrols are made. In addition, soil and noise pollution are created by the increasing human activity on the Islands, and light pollution can affect the migration of birds and turtles. 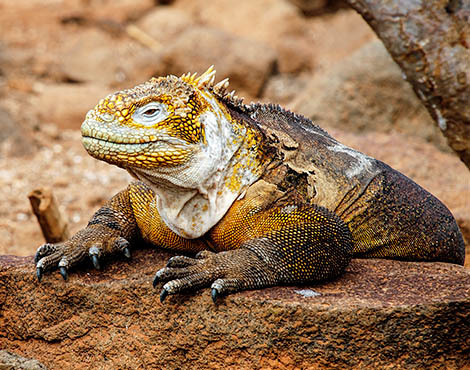 The Galapagos National Park aims to keep both the land and sea clean for the benefit of the local people, the wildlife and the visitors to the Islands. Pollution can have a devastating effect on the native wildlife of Galapagos, especially plastic pollution. Debris in the ocean is mistaken for food by marine creatures such as turtles and ingested, and rubbish can cause injuries or entrapment for both land and marine wildlife. We are working with partners to try and create a plastic pollution-free marine reserve and experts believe that Galapagos is best placed, of anywhere in the world, to be able to do so. One of the best ways to combat long-term pollution is through education. We support and deliver outreach and education projects on the Islands as well as through our online, bilingual education resource Discovering Galapagos. The issues faced in the microcosm of Galapagos are of global relevance and the communication of these problems and their potential solutions could influence conservation management strategies in other areas of the world. Learn more about our education work or how we are tackling plastic pollution on the Islands.